Wow the last week has been kind of crazy. Did my last exam this day last week. It was maths and it's best not to talk about it and to hope for the best. Me and maths are so not friends. Last Tuesday I went to Miley Cyrus with my friend Jenni and yesterday we went to 1D in Croke Park. 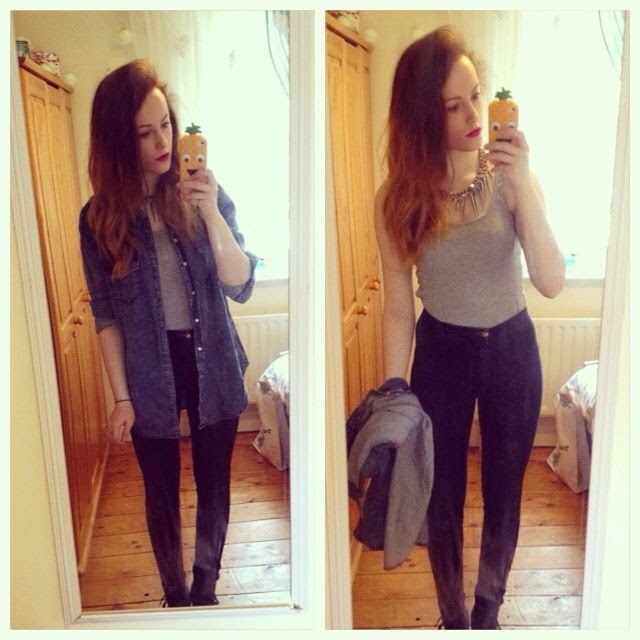 Blog post coming on the two of those soon :D This little OOTD was from the 1D concert. It's been raining non stop in Ireland the last few days so I decided to be practical. Unlike 70% of the girls I saw there who were wearing shorts!! If you didn't freeze to death I salute you. I also went with heels. I'm 5"6. Not the tallest person and for some reason concerts bring out the Irish giants. ~Petition for all tall people to stand at the back. #haterzgonnahate . I joke, I joke. My jeans are the American Apparel high waisted easy jean. Comfiest jeans ever. My shirt is from Tally Weijl and my crop top and necklace are trusty old Primark. I ombred my hair a few weeks ago and I think I'm finally starting to like it. I've started using a purple shampoo on it and it's really helped with the brassiness. When I first got it done it was a little on the orange side but I threw another dye on top of it and it looks a lot better now. I live in constant fear of having hair thats meant to be blonde but looks orange/yellow. Ew. If any of you have some hair masks you'd recommend, please comment below. ps. My giveaway ended during the weekend and if you entered and didn't win - sorry :( I wish there was a trio for all you guys but sadly....I've emailed the three winners. 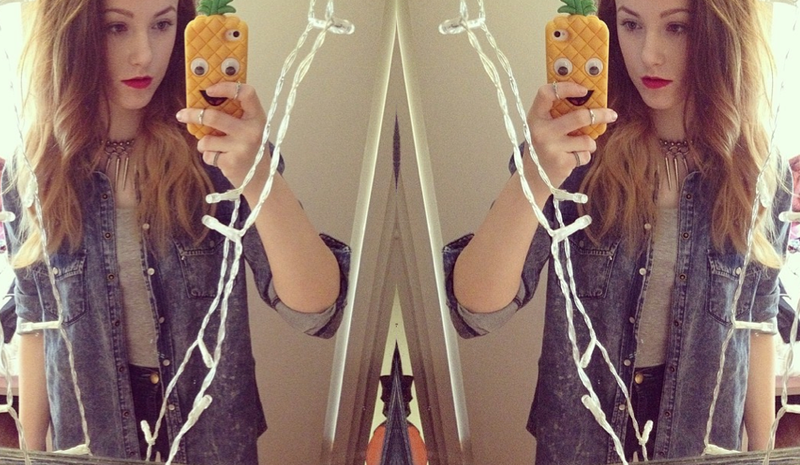 Love the outfit but more to the point your phone cover!! !